Well, like everything else I whip up in the kitchen, the results of my efforts are a little questionable. 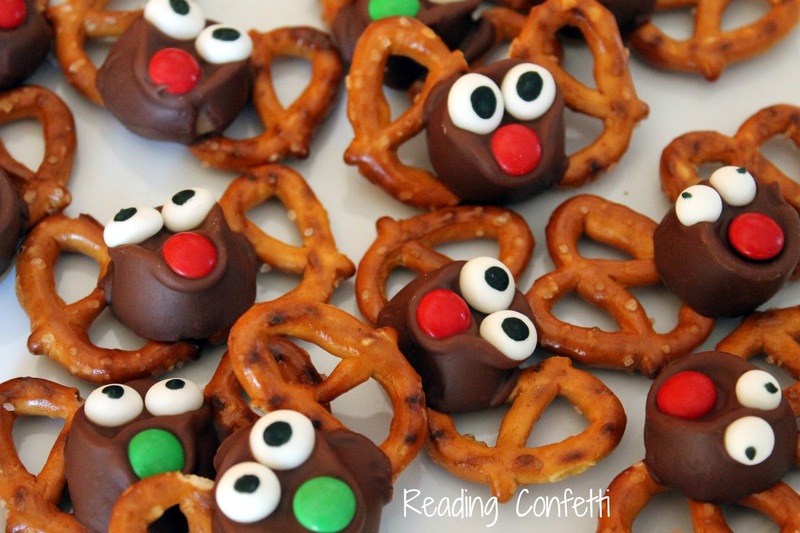 These reindeer look just a tiny bit deranged, but my kids liked them (after they pulled the pretzels off.) 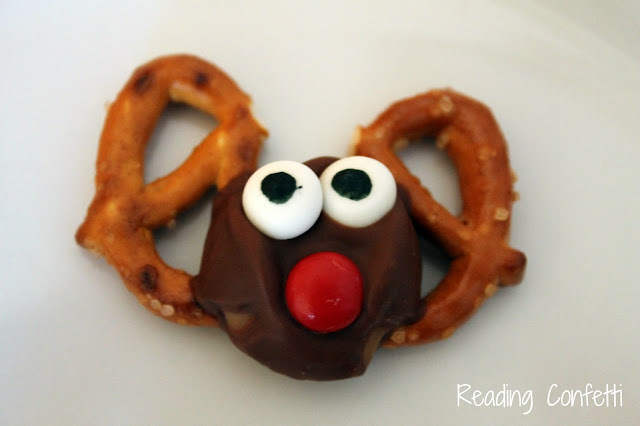 Then again, they've developed a tolerance to crazy looking reindeer. 1. 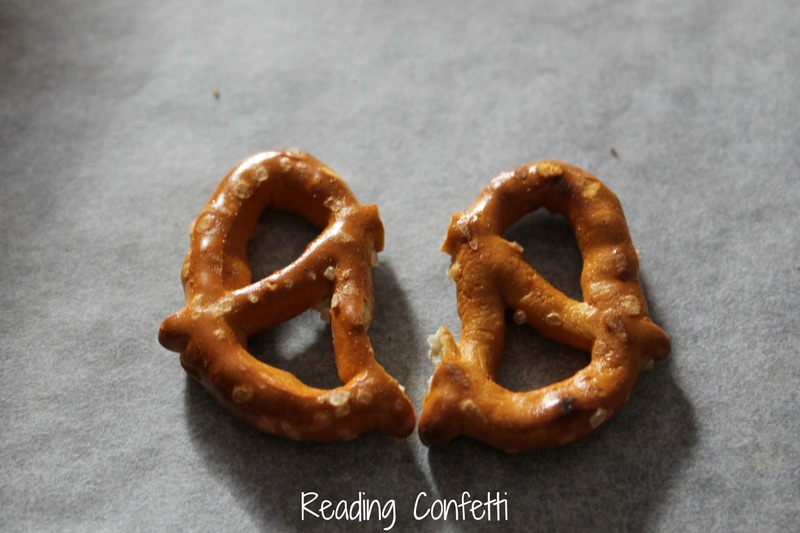 Lay two small pretzels together (I broke some of them first) on a baking sheet lined with parchment paper. 2. Top with a Rolo and bake at 350 degrees for 3-5 minutes. They may not look melty but they probably are. Don't let them melt to a puddle. 3. As soon as they come out of the oven, press in your eyes and M&M nose. How the Reindeer Got Their Antlers This is a cute story not only about how reindeer got their antlers (an angel gave all the animals crowns), but how they came to love them (by coming to the aid of Santa). 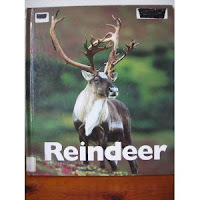 Reindeer (Naturebooks) My four year old loved this nonfiction book about reindeer we checked out from the library. It's not too long or complicated, but gives facts like where they live and what they eat. We studied the photos in this one for a long time. 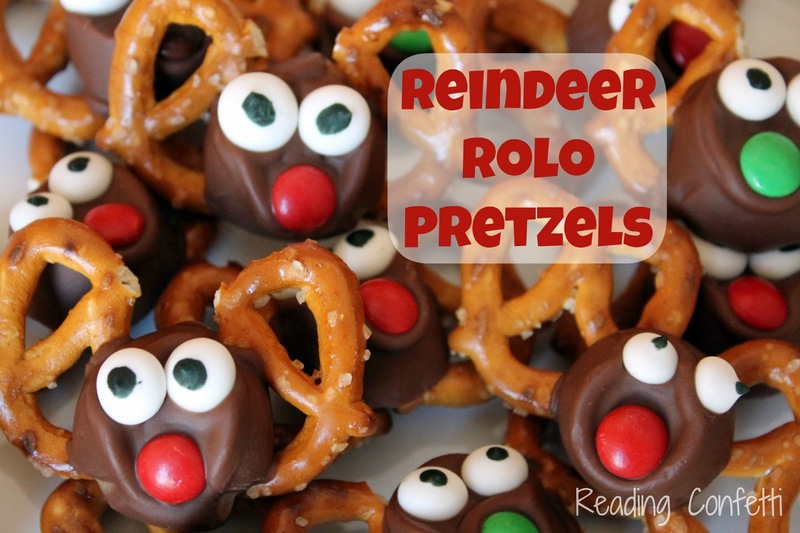 Reindeer is another good nonfiction choice. This also has lots of facts about reindeer and includes a possible explanation of how the legend of Santa's flying reindeer began. This is an illustrated book. Unfortunately it's out of print and very expensive on Amazon, but would be a great book to get from the library. Reindeer Christmas has bright, fun illustrations. It's a sweet story about two children and their grandmother who help one of Santa's reindeer and experience some magic in return. The Little Reindeer is a sweet story about a boy who is accidentally given a reindeer as a gift. He takes good care of the reindeer until he is ready to join Santa's team. Do you have any great reindeer books to recommend?